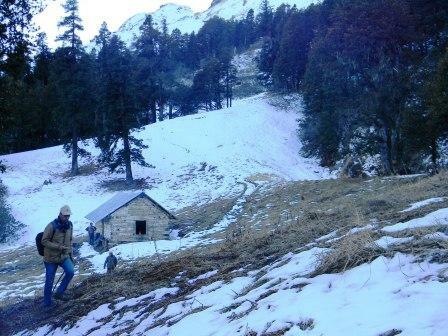 The need for environmental conservation in the Kullu Valley has very early origins. Local villagers recognized that certain trees, groves, and forests had special attributes and these areas were always protected from exploitation. Since Indian independence (1947), environmental pressures have steadily increased in the Kullu Valley with growing population, development, and tourism. In addition to Central and State government, local people and non-governmental organizations (NGOs) are all participants in the process of creating a national park. 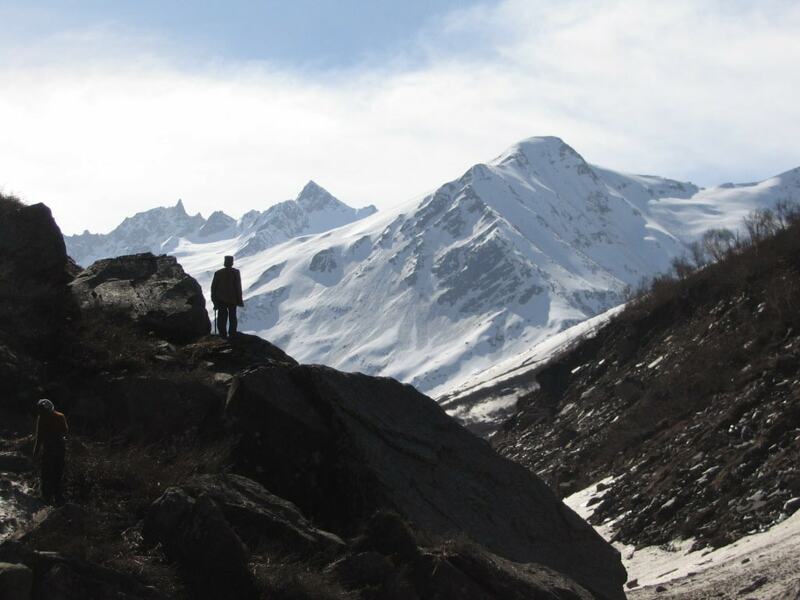 Even with the complexity of so many players with different agendas, the creation of GHNP represents a commitment to protect a unique area of the Western Himalayas. In the 1980s initial efforts were made to create a national park which 20 years later was finalized as the Great Himalayan National Park (1999). On the glorious splendor of your Majesty, and on your wondrous works, i will meditate (View of the Great Himalayan National Park from Dhel Meadow). Thunder can’t shake you nor can the clouds reach you. You are at the highest state, yet you are down and hold the strongest attachment with our Mother Earth. Your purity make the Nature run through you and virgin snow have the honor to make the beautiful scarf for you. You witness all our drama, forgiving always no matter what and keep showering your blessings with the great treasure of Nature and for the survival of life in this heavenly planet of Earth. Always seek for balance in your life: If you stayed long in the darkness, walk long in the light; if you talked too much, stay silent for a good while; if you climbed the high mountains, hike long on the plains! Balance everything! GHNP has invaluable rare and endangered species. 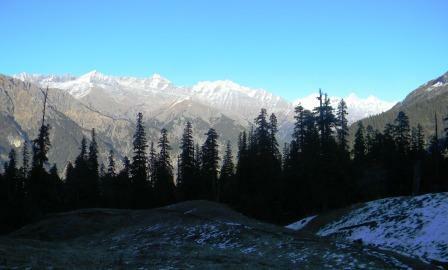 The Park preserves examples of many ecosystems that have become rare elsewhere in the Himalayas. It will take much time and effort to understand the intricate workings of these ecosystems. If they are not preserved and studied now the unique forests, subalpine shrubberies, and flowery alpine meadows habitats could be destroyed, along with the many animal species that are dependent on them. In 1978-80 a team of Indian and international wildlife biologists conducted the first systematic survey of three areas in the upper Beas region as possible sites for a national park. In 1981 their report recommended the Sainj-Tirthan Valleys as the upper Sainj and Tirthan Valleys both had exceptional forests and a remarkable and complete array of the larger, more ecologically sensitive wildlife species typical of the Western Himalayas. In particular, the area supported critically important populations of Western Tragopan, Cheer Pheasant, other pheasants and Musk Deer. Dr Anthony J. Gaston (middle) , Anne Marie (right) and Sanjeeva Pandey (left) in Nada Meadow, GHNP. Dr Gaston led the team of international biologists, and Indian scientists & officials which selected the present site of the Great Himalayan National Park in 1980. In 1984 the Himachal Government declared its intention to create GHNP in that area, and also defined a buffer zone (later called the Ecozone). Three years later, in 1987, the Park’s first Management Plan was completed, as a revision of the former Forest Working Plan for the area. In order to establish Park boundaries that both protected critical wildlife habitat and managed the human presence effectively, more wildlife surveys of the region and social surveys were urgently needed. Peter Garson and Tony Gaston resurveyed their original study area in 1991. They found increases among pheasants and ungulates below 3,100 metres, and found no significant change in subalpine and alpine habitats. They recommended restrictions on grazing and medicinal plant collection in order to maintain the Park’s biodiversity. In 1994 the state government adjusted the boundaries again, adding 145 sq km to the Park, but removing 90 sq km to create the Sainj Sanctuary. In 1994-95 it established the Ecozone on the western side of GHNP, encompassing well over 120 villages. This new status required the participation of local villagers and NGOs in planning and managing the area. Thus, the GHNP is associated with a buffer zone, popularly known as the Ecozone, an area of 265.6 sq km inhabited by some 16,000 people in 160 villages. The Ecozone was established in 1994 to promote local ecologically sustainable development including ecotourism. 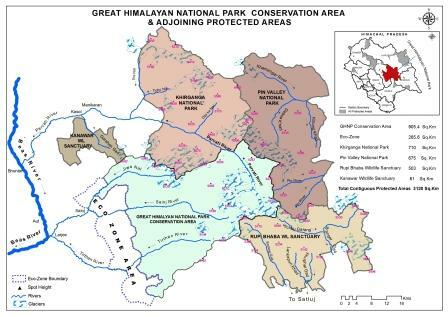 The Park, the Sainj and Tirthan wildlife sanctuaries, and the Ecozone are collectively referred to as the Great Himalayan National Park Conservation Area (GHNPCA), a conceptual designation and de facto management unit of some 1,171 sq km that recognizes that a wider and well-integrated Conservation Area has far greater conservation value than its individual parts. The boundaries of GHNP are also contiguous with the recently established (2010) Khirganga National Park (710 sq km), the Pin Valley National Park (675 sq km) in Trans-Himalaya, Rupi-Bhabha Wildlife Sanctuary (503 sq km) in Sutlej watershed and Kanawar Wildlife Sanctuary (61 sq km). Together these four protected areas (PAs) add 1,949 sq km to the area around GHNP and its buffer zone, making the total contiguous protected area associated with the nominated property approximately 2,854.4 sq km not including the Ecozone. The Great Himalayan National Park Conservation Area along with Pin Valley NP, Khirganga NP, Rupi Bhaba WL Sanctuary and Kanawar WLS is the biggest area available for biodiversity conservation (about 2,900 sq km) in the Western Himalayas. The Great Himalayan National Park was declared as National Park under Wildlife (Protection) Act 1972 by the Himachal Pradesh Government on 28th May, 1999. This pristine area of temperate forests and alpine meadows surrounded by high mountains has remained without any human interference since 1999. (As per the Indian Wildlife Protection Act of 1972, an area is formally declared a National Park only when it is free of any habitation or rights of local people). The Great Himalayan National Park along with the Tirthan and Sainj Wildlife Sanctuaries (WLS) has been inscribed as a World Heritage Site in June 2014 by UNESCO. Thus the Great Himalayan National Park Conservation Area World Heritage Site consists of the 754.4 sq km GHNP, the 90 sq km Sainj WLS and the 61 sq km Tirthan WLS for a total extent of 905.4 sq km. As per WH Guidelines, the 265.6 sq km buffer zone (Ecozone) is not technically part of the nominated property but is directly associated with it in all management aspects. 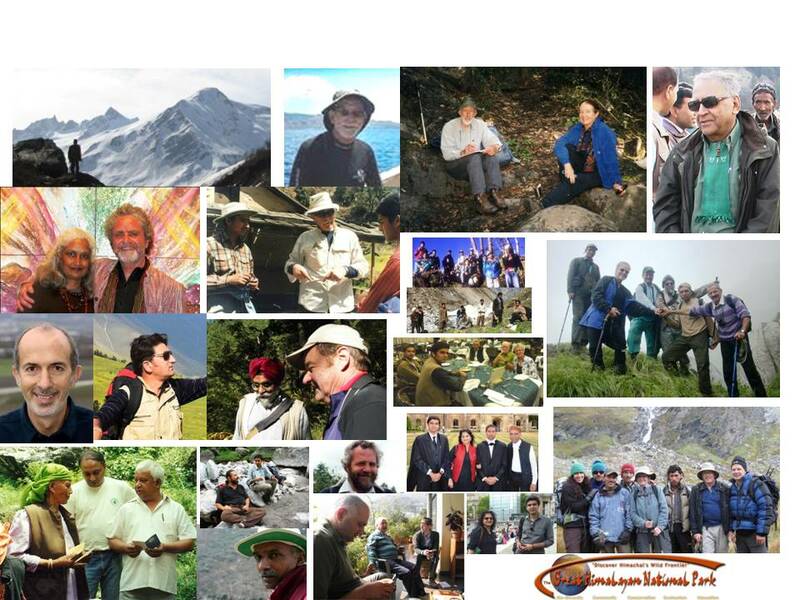 An informal group of scientists, artists and students from all over the world formed Friends of GHNP which wrote and facilitated making of Great Himalayan National Park Conservation Area as a World Heritage site. 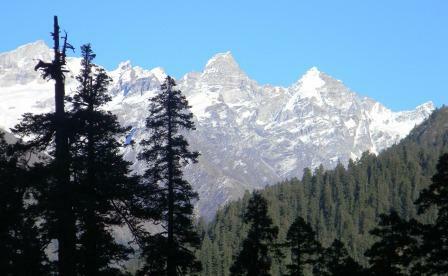 Great Himalayan National Park, a World Heritage Site. 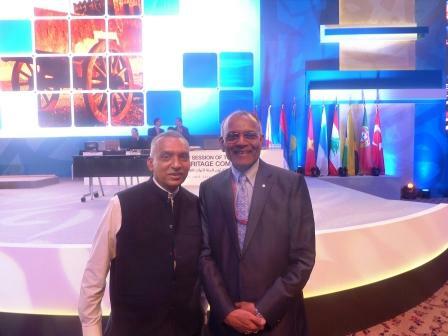 Sanjeeva Pandey, a Friend of GHNP(Left) with Director, World Heritage Committee, UNESCO in Doha on 23rd June 2014, immediately after the inscription of GHNPCA as a World Heritage Site. 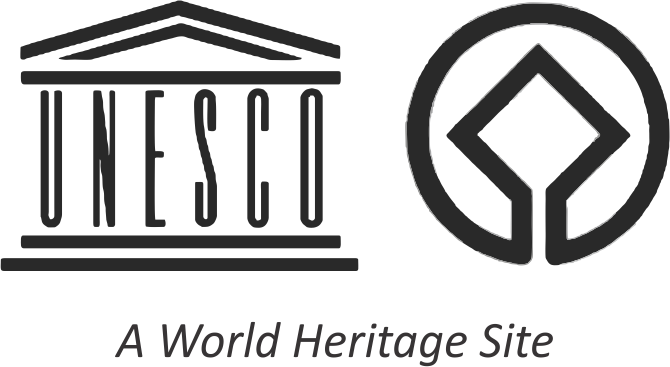 Friends of GHNP authored the 340 pages of initial application, and supplementary information to the UNESCO. They volunteered in making of the present website, a video (Voices and Choices at GHNP), posters and many write-ups in support of GHNP’s Biodiversity Conservation. 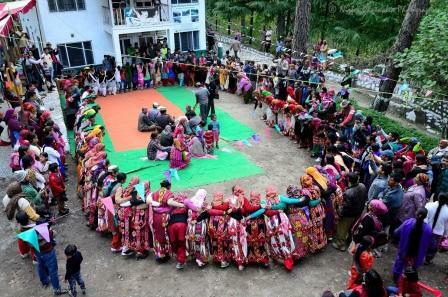 Members of Women Saving and Credit Groups came together to celebrate Wildlife Week in Oct 2014 after the inscription of GHNP as a World Heritage Site.